There are 2 cat videos tagged with toothbrush. This isn't exactly the way one usually uses a toothbrush, but it's definitely cuter! 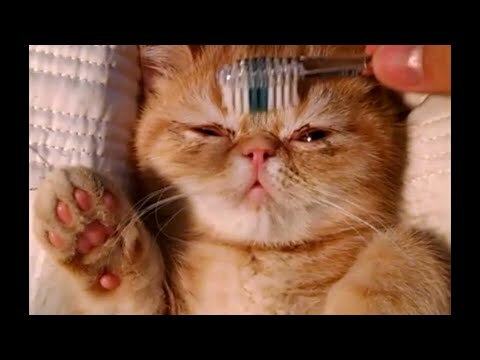 A sleepy Exotic Shorthair kitten falls asleep while being brushed with a toothbrush. 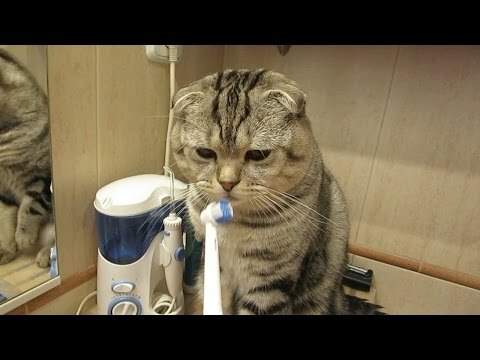 A beautiful Scottish Fold named Cornflower loves to have his teeth brushed in the morning and at night. He is smart enough to know that human toothpaste is bad for cats and won't let it near him. It can be hard for cats to let humans brush their teeth, so this owner has a good cat on their hands!